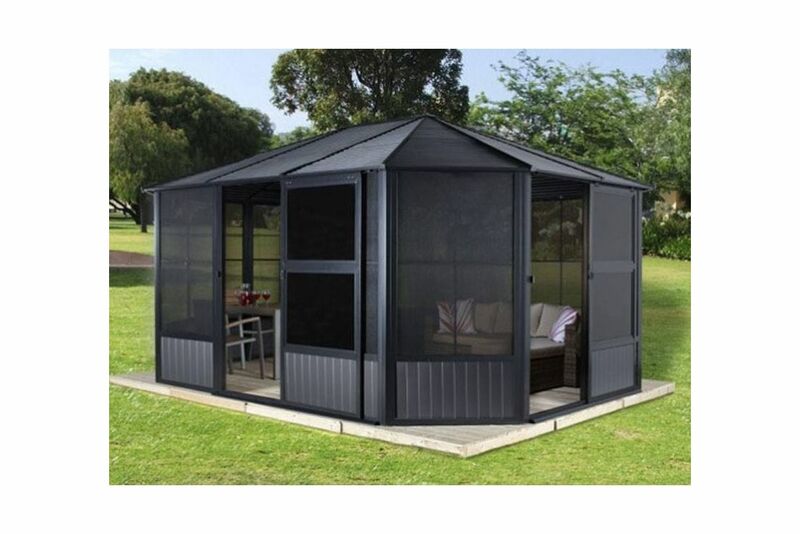 Four Seasons Solarium looks great and is guaranteed to transform any outdoor space. All roof and window panels have a stylish tint to them offering shade on a hot summers day and then cozy warmth if it’s a bit nippy outside. Available in 2 sizes: 12'x12', 12'x15'. Rustproof aluminium frame can be fixed to the surface it sits on. The galvanized-steel roof is robust and hard wearing. Clear PVC windows (Mica) and Mosquito Netting on every wall. Two sliding doors for multiple access points or to let the breeze through on a hot day. These can be fixed shut. A sliding window is also included for added ventilation throughout.